Public speaker covering digital media for businesses. We like to share what we know and we’re available for public speaking engagements. English or Spanish, your choice. We’re no strangers to talking to an audience. During her time as a professional designer in the United States and Latin America (including work for Disney, Hush Puppies, Unilever, and Nestlé) our Design Director, Tatiana Hindes, was invited by Apple and Adobe to deliver a number of keynote speeches on design software. 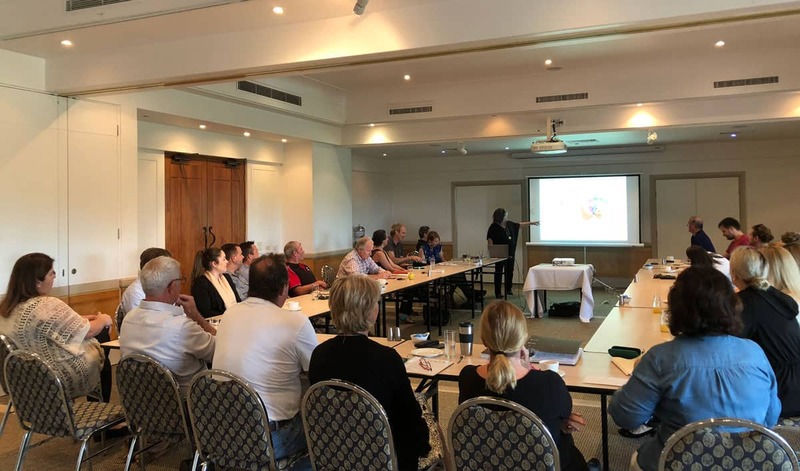 Now settled in Australia, Taty has delivered talks for the Queensland government’s Small Business Solutions program and several networking business groups. Stage presentation, up to 1 hour. Interactive presentation prepared and tailored to the audience. Traveling time and up to 2.5 hours at the venue. Presentation equipment to be supplied by the venue. Talk to us about a customised presentation for your audience.